Why Does Deja Vu Happen? Deja vu is a French term that literally means “already seen.” It was coined in 1876 by French scientist Emile Boirac, one of the first to study this strange phenomenon. For the believers of the occult and the mystic, deja vu is equivalent to precognition, which is the ability to see or know what’s going to happen before it truly happens. 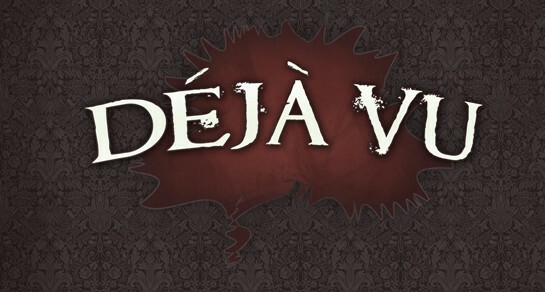 Unlike precognition, however, deja vu happens during the event, and the person experiencing deja vu has this feeling that he or she has seen or experienced something before when they very well know they haven’t. This description distinctly marks deja vu less of a supernatural phenomenon, and more of a psychological concern. According to many researchers, one type of deja vu can be simply a glitch in the brain’s ability to process correctly what the eyes see. This type of deja vu is the most common type experienced by normal, healthy people. It is associative in nature because the person sees, hears, smells, or otherwise, experiences something that stirs a feeling that is associated with something they’ve seen, heard, smelled, or experienced before. Another type of deja vu is biological in nature. Persons with temporal lobe epilepsy or injury often experience a strong feeling of déjà vu just before having a seizure. This type of deja vu differs from the typical fleeting feelings of familiarity. The person having it certainly believes he or she has been through the exact situation before, rather than getting a feeling of familiarity that may last 10 to 30 seconds at most. Using brain imaging technology, scientists have isolated the area in the brain where our conscious memory is involved. This area is the medial temporal lobe, which is composed of the parahippocampal gyrus, the rhinal cortex and the amygdala. John D.E. Gabrieli at Stanford University found in 1997 that the hippocampus enables us to consciously recall events. He also found that the parahippocampal gyrus enables us to determine what’s familiar and what isn’t without actually retrieving a specific memory to do it. According to Dr. Alan Brown, a professor of psychology at South Methodist University and author of “The Déjà Vu Experience: Essays in Cognitive Psychology,” we may experience deja vu when our attention is divided. He calls this the Cell Phone Theory, referring to the situation when our attention is divided while speaking into a mobile phone while driving. Dr Brown explains further that when we are distracted with something else, we subliminally take in what’s around us, but may not truly register it consciously. Then, when we are able to focus on what we are doing, those surroundings appear to already be familiar to us even when they shouldn’t be. Dutch psychiatrist Hermon Sno proposed the idea that memories are like holograms. They can be recreated into an entire three-dimensional image from any fragment of the whole. The smaller the fragment, however, the fuzzier the ultimate picture. Based on this theory, we can say déjà vu happens when some detail in the environment we are currently in (a sight, sound, smell, et cetera) is similar to some remnant of a memory of our past and our brain recreates an entire scene from that fragment. Childhood memories are a common source for this kind of deja vu. Another theory of why deja vu happens is based on the way our brain processes new information and how it stores long- and short-term memories. Robert Efron tested this idea at the Veterans Hospital in Boston in 1963, and found that a delayed neurological response causes déjà vu. Because information enters the processing centers of the brain via more than one path, it is possible that occasionally that blending of information might not synchronize correctly. Efron found that the temporal lobe of the brain’s left hemisphere is responsible for sorting incoming information. He also found that the temporal lobe receives this incoming information twice with a slight delay between transmissions — once directly and once again after its detour through the right hemisphere of the brain. If that second transmission is delayed slightly longer, then the brain might put the wrong timestamp on that bit of information and register it as a previous memory because it had already been processed. That “slight delay” could explain the sudden sense of familiarity. It is also possible that we experience deja vu because of memories we had of places and people from watching movies, reading books, or looking at photos. Very strong memories can be developed from these activities, although we’ve never been to that place, never experience that event, or never knew who the person was. Over time, these memories may be pushed back in our minds. Whenever we see or experience something that is very similar to one of those stored memories, then we might experience a feeling of déjà vu. Why Does Copper Turn Green? Why Does Helium Change Your Voice? Why Does Someone have High Blood Pressure? Why Does the Moon have Craters? Why Does The Lamborghini Veneno Roadster Cost So Much? Why Does Luxury Marque Buick Plan To Re-release Its Black Sheep? Why Does Alcohol Make You Fat? Why Does my iPod keep Freezing up? Why Does my Skin Get Greasy? Why Does Sugar Dissolve in Water? Why Does my Left Side Hurt? Copyright © 2019 Why Does - Why Do Things Happen?.